Beneath the briny waves, a stone’s throw from a shore near you lays Carol Reef City, inhabited by some of the most beautiful fancy, flashy fish in the ENTIRE Ocean… and then there’s Terry. Terry looks grey. Terry feels dull, and although he is the best at playing ‘Hide A Fish’, he can’t help but wonder: Just what would it feel like to be part of that dashing, flashing crew? So, with the help of his friends, he fashions a flashy costume and is ready to impress… ‘Hello-o-o everybody! Just call me TROPICAL Terry!’ But will life as a tropical fish be everything he dreamed of? 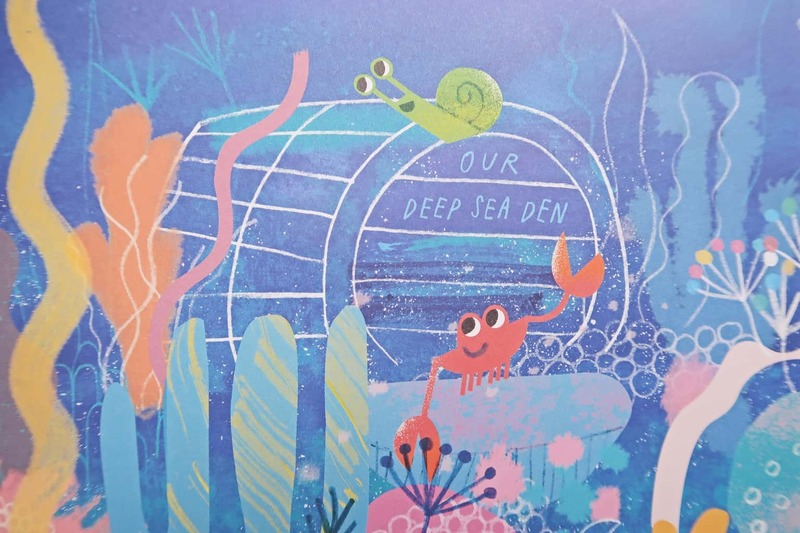 A beautiful storybook which contains bright and colourful illustrations on every page. Transporting the reading into the ocean alongside Terry and his adventure. The story follows Terry who is a little ‘dull’ fish who believes that the grass is greener on the other side of the reef. Wishing to change himself in order to fit in with the other fish. However, he soon realises that he is far from ‘dull’ being himself and that things aren’t always as great as they appear from the outside. Tropical Terry // Where Can I Buy? 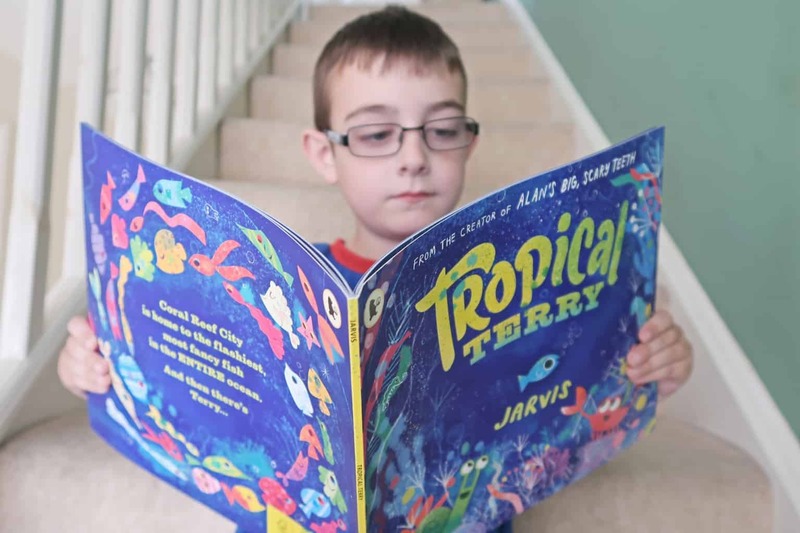 The Tropical Terry story is available in hardback or paperback, available to buy from Amazon and all other good book retailers. Don’t forget to check out other Jarvis books – Pick A Pine Tree, Mrs Mole, I’m Home! and Alan’s Big Scary Teeth. 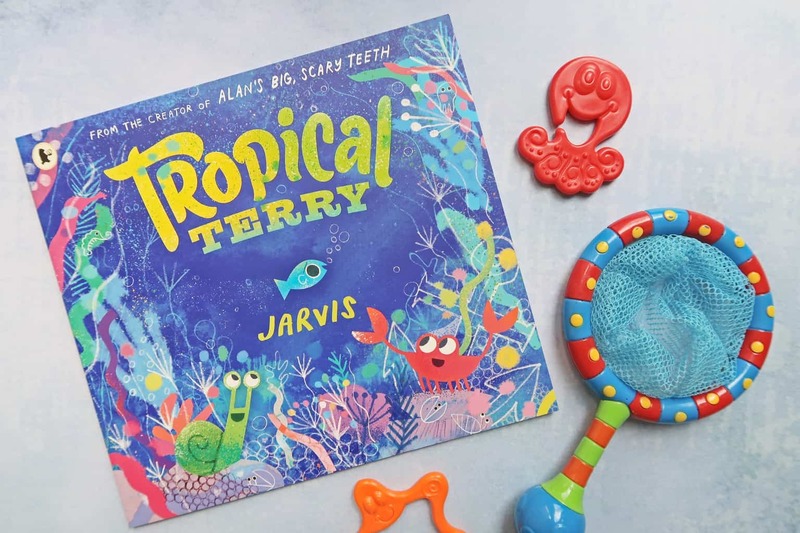 Boo Roo and Tigger Too are giving one lucky reader the chance to follow Terry through his journey, with one copy of the Tropical Terry book to giveaway.